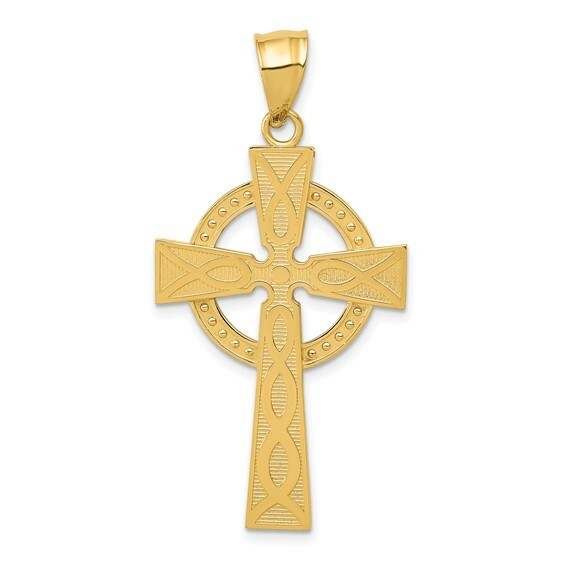 Celtic cross pendant is made of 14kt yellow gold. Item measures 7/8 inch wide by 1 3/8 inches tall without loop and bail. Weight: 3.14 grams. 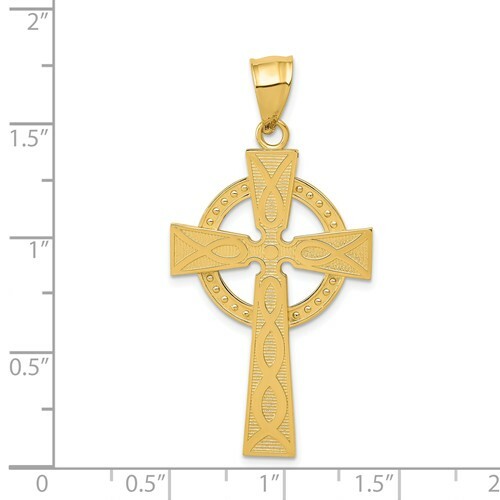 Originating in Ireland and taken to the Island of Iona by St. Columbia, the Celtic cross was created in stone with the circle to hold the bars of the cross. The circle around this cross symbolizes eternal life.